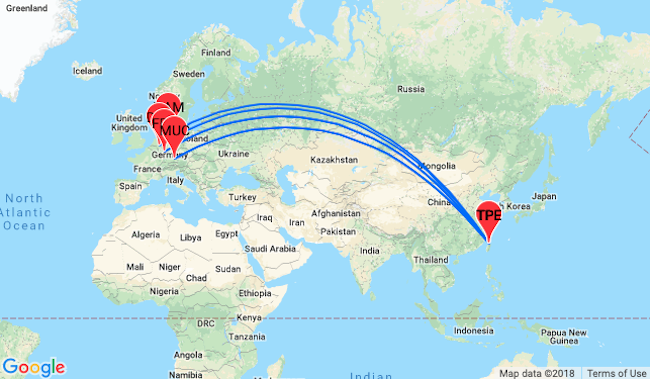 Cheap flights from Germany to Taiwan from only €363! Air France and KLM are offering cheap tickets for flights from Hamburg, Dusseldorf, Munich or Frankfurt to Taipei, Taiwan! Prices start at €363 for a round trip! 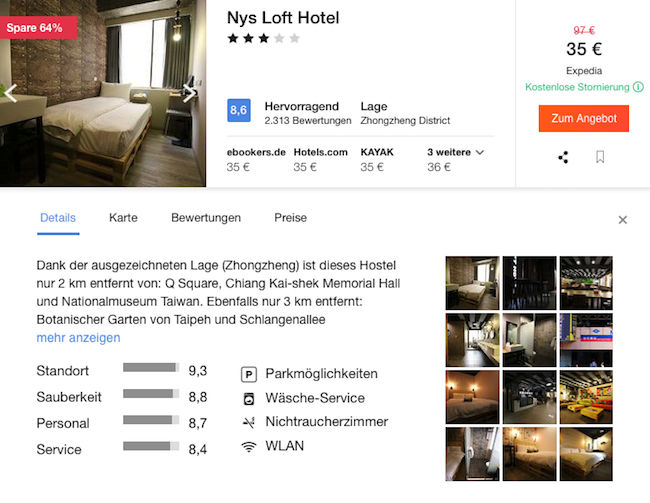 We encourage you to stay at 3* Nys Loft Hotel with very good reviews. This property is located in the Zhongzheng District district in Taipei from Taipei Bus Station and 700 m from Presidential Office Building. Each room at this hotel is air conditioned and comes with a TV with satellite channels.